LP and AD are hard working, loving parents. Due to work schedules, they were forced to put their infant daughter, VD, in day care. 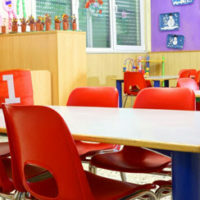 Before doing so, LP and AD researched and found a day care center that was approved and certified by the State of Florida’s Department of Children and Families. After touring the facility and interviewing the owner, they felt comfortable enough to put their daughter in the facility’s care. One morning shortly after enrolling her daughter in the day care center, LP received a disturbing call. The day care center’s owner advised that VD had been bitten by another child at the daycare. LP rushed out of work and went directly to the day care center. When she arrived, LP found that VD had multiple bite marks across her arms, hands and face. Fire rescue and police were then called to the day care. As was Florida’s Department of Children and Families. And the lawyers of PWD. PWD attorneys and investigators undertook their own independent investigation into the matter as well. PWD discovered (much to LP and AD’s shock), that the day care center was understaffed and its personnel were poorly trained. As it turned out, VD was left alone and unsupervised with a 4-year old child — in the same crib! Apparently, the 4-year old acted in aggressive manner, biting the VD more than 15 times. After completing a thorough investigation, the attorneys at PWD secured a settlement of the day care facility’s insurance bodily injury limits without the necessity of filing a lawsuit. The best news of all, however, is that LP and AD’s beautiful daughter made an incredible recovery without the need for surgery, medication or medical care. VD’s settlement proceeds were invested and will be used for VD’s future education and to give her a financial head start in life.